This is a modified recipe from Skinny Mom’s Kitchen. 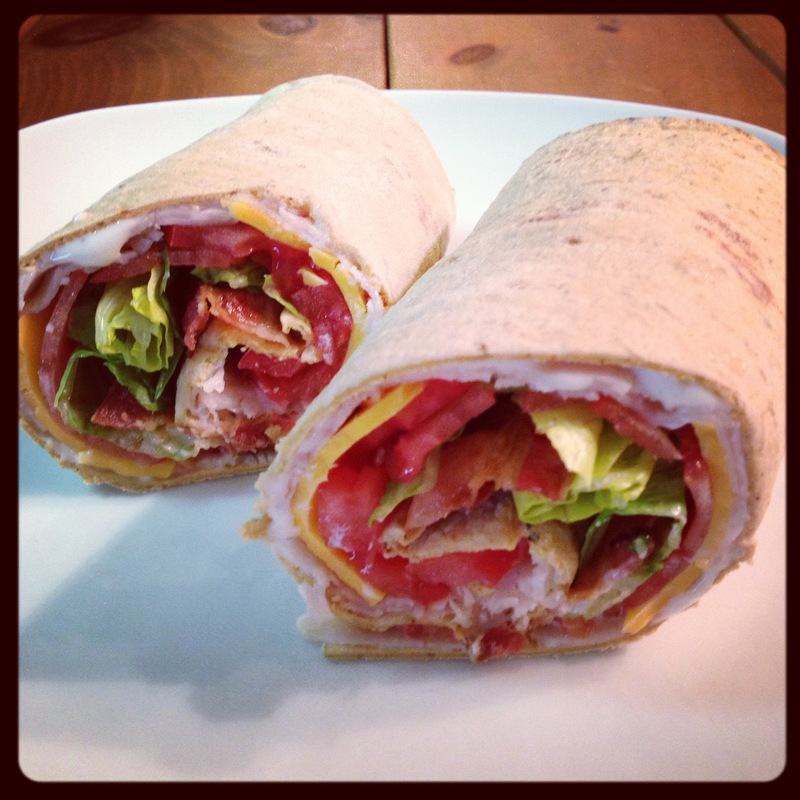 This is a healthier version of the Arby’s Turkey Bacon Ranch Wrap. It was really good and all together it was less than 300 calories. I used the Italian Herb Flatout Wraps, Hillshire Farms Thinly Sliced Honey Roasted Turkey, Publix Sharp Cheddar Cheese, Jimmy Dean Full Cooked Bacon, and Bolthouse Yogurt Ranch Dressing. It tasted a lot like Arby’s wrap. All it needs is a side of greasy curly fries- just kidding! 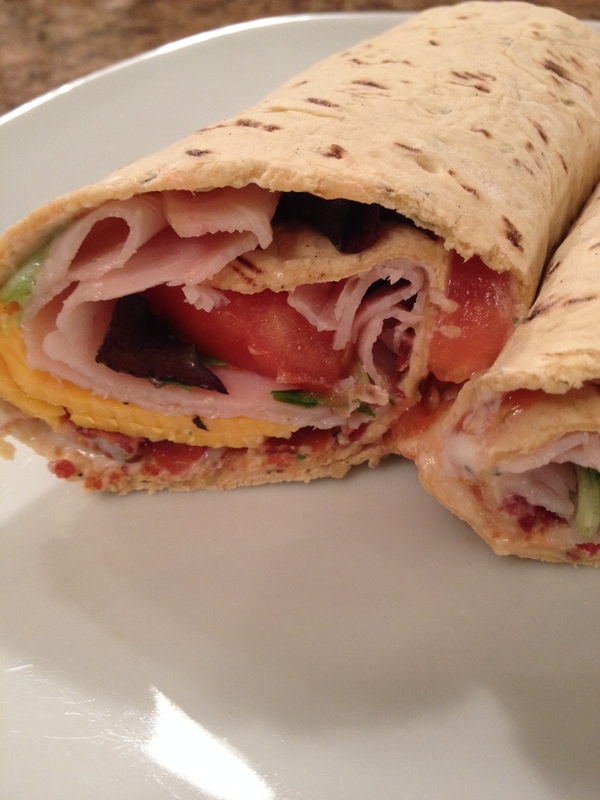 Spread a thin layer of dressing across the wrap. Layer turkey, bacon, cheese, tomato slices, and lettuce. Start from one end of the wrap and roll.